Who better to throw a St. Patrick's Day party than a true blue Irishman!! Join, Hugh, Simon and the Luna Lounge staff for the party of the year!! 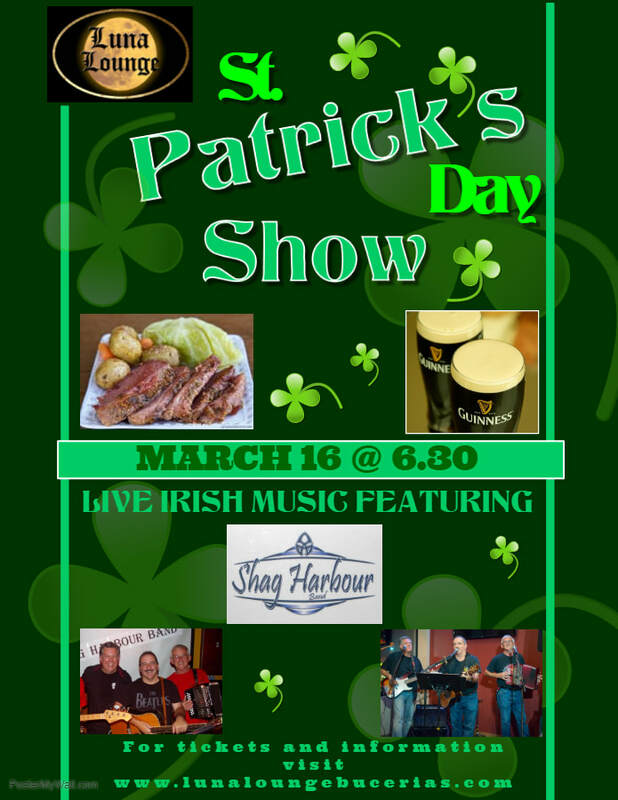 We will have live music featuring the incredible Shag Harbour Band, our infamous Corned Beef and Cabbage, Beef and Guiness Stew. Dress yourself in your finest greens, and get ready for a night you soon won't forget.